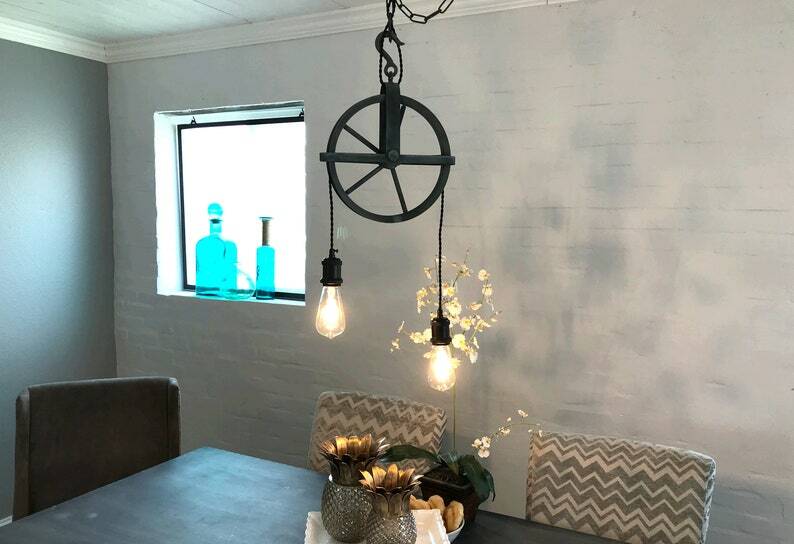 Two Edison bulbs hang from an Aged Zinc well pulley to create a truly eclectic pendant light. Illuminate your powder room, foyer, island, or any space where soft lighting is desired. Dual LED Edison bulbs hang from well pulley bulbs included. All new electrical components with twisted cloth covered UL wire and sockets. Included 3ft of chain. Pulley light is 10" wide and hangs included zinc canopy shown . Light can also be swagged if desired.